Process & cooling water treatment. Cyanide effluent in gold mining. Food processing & vegetable processing. Sulphur is burned to yield SO2. The gas is further oxidized in the converters which is an exothermic reaction. The catalyst used is V2O5. 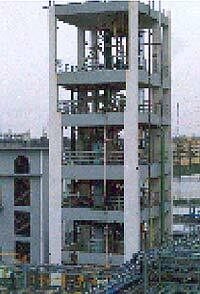 The sulphur tri-oxide gas is finally absorbed in the tower to yield H2SO4 acid. Stronger acids may be made by dissolving. Our experience covers a wide range of chemicals. We execute the projects based on latest & cost effective know-how available in the world. 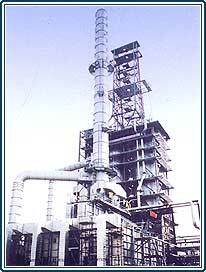 Plant offered by us is most efficient plant in terms of quality & yield. Manufacture of Dyes, Phenols and Plastics. Manufacture of chemical intermediates, such as FeCI3, ZnCL2, AICI3, etc. General Cleaning in households and in commercial, industrial and institutional establishments.